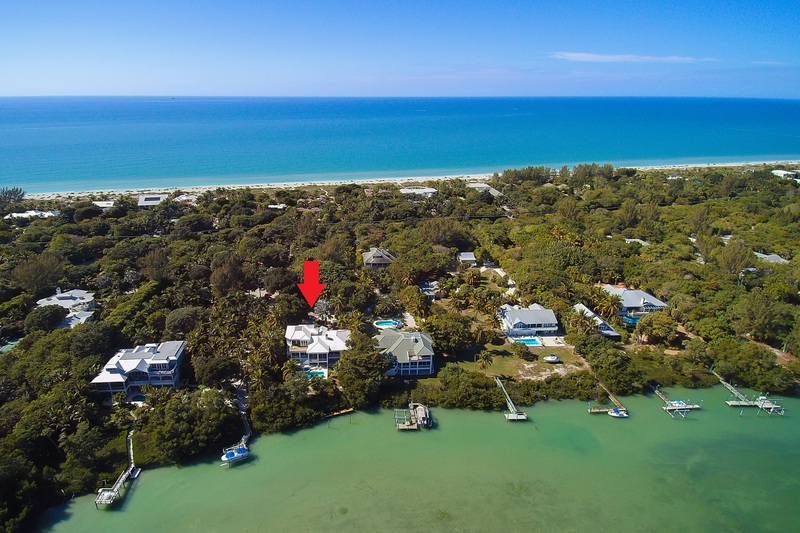 Wonderful custom built 4 bedrooms and 4.5 bath Roosevelt Channel home with a deeded beach access. Situated on a large lot with beautiful views of the channel. Home offers a fenced heated pool and spa, dock with direct inter-coastal access, screen enclosed lanai overlooking the pool and channel. Gourmet kitchen with center island and walk-in pantry, large laundry room, great room with soaring ceilings, Den/Media room with fireplace, 2nd floor private master suite with balcony/sundeck and an office with double built-in desks, 900 bottle capacity custom built, walk-in wine room. 2-car garage with plenty of storage on the ground level.